When a child has tactile defensiveness, it’s likely that there are some other issues going on as well. You might notice a resistance to eating certain textures of food, which is called oral defensiveness. 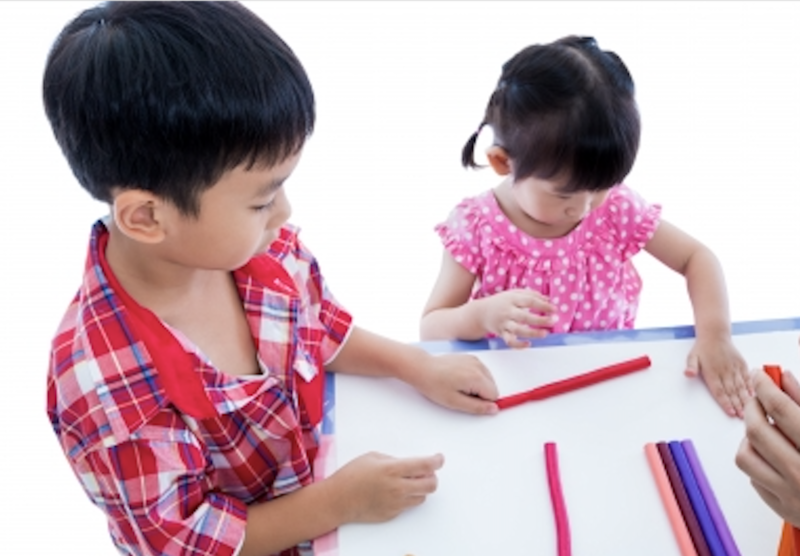 If your child demonstrates oversensitivity to light and visual distractibility, it’s possible that there is some visual defensiveness going on. If certain sounds are particularly annoying or even painful to your child, this is called auditory defensiveness. One type of defensiveness that I didn’t mention in my earlier post is gravitational insecurity. This is an extreme sensitivity to heights, movement and/or a change in head position in space. When a child is experiencing defensiveness in more than one sensory system, it’s likely that this is impacting his or her quality of life. That means it’s time to seek therapy from an experienced therapist. A common treatment for sensory defensiveness is the Wilbarger Brushing program. This involves deep touch pressure using a special brush along with joint compressions. The program is recommended by a therapist trained to administer the protocol, and it is used in conjunction with a “sensory diet” of activities that include vestibular and proprioceptive input. For little ones with oral defensiveness, there are special techniques that a trained therapist will utilize to address this issue. 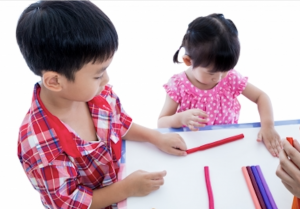 With the brushing program, the trained therapist will provide hands-on training so that the parents and other adults who work with the child can administer the program. It is typically carried out approximately every 2 to 3 hours throughout the day. Your therapist will supply brushes and replace them when needed. For upcoming OT tips, don’t forget to sign up as a “follower” (on your right) for updates on new posts, and a chance to win the wonderful book The Out of Sync Child Has Fun! 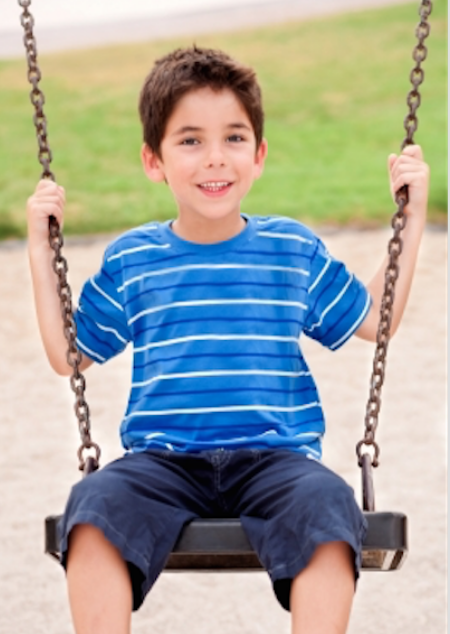 The vestibular system helps us know where our bodies are in space and provides a sense of balance and posture. As we move about, our eyes and ears take in sensory information and send that information to the brain. The vestibular system is made up of 3 fluid filled canals, as well as a “sack-like” structure and a “pouch-like” structure, and all of these components work together to respond to movement, gravity, and changes in direction and in head position. The visual system works in conjunction with the vestibular system, allowing both eyes to work together and contributing to smooth eye movements. The proprioceptive system also plays a role in this process (which I will discuss in more detail in another post). As the brain coordinates all of this input, this provides a foundation for the timing and spatial orientation of our movements, allowing us to navigate our environment in a coordinated manner. In one way or another, this system influences everything we do. Think of the vestibular system as functioning like a switchboard, directing individual sensations where and when to go or stop. Considering all of the important functions of this system, it is quite apparent why a vestibular problem can lead to many problems that impact daily functioning. If your child has tactile defensiveness, it’s likely that there are some other issues going on as well. You might notice a resistance to eating certain textures of food, which is called oral defensiveness. If your child demonstrates oversensitivity to light and visual distractibility, it’s possible that there is some visual defensiveness going on. If certain sounds are particularly annoying or even painful to your child, this is called auditory defensiveness. One type of defensiveness that I didn’t mention in my earlier post is gravitational insecurity. This is an extreme sensitivity to heights, movement and/or a change in head position in space. When a child is experiencing defensiveness in more than one sensory system, it’s likely that this is impacting his or her quality of life. That means it’s time to seek therapy from an experienced therapist. A common treatment for sensory defensiveness is the Wilbarger Brushing program. This involves deep touch pressure using a special brush along with joint compressions. The program is typically done in conjunction with a “sensory diet” of activities that include vestibular and proprioceptive input. For little ones with oral defensiveness, there are special techniques that a trained therapist will utilize to address this issue. With the brushing program, the therapist will provide hands-on training so that the parents and other adults who work with the child can administer the program. It is typically carried out approximately every 2 to 3 hours throughout the day. Your therapist will supply brushes and replace them when needed.